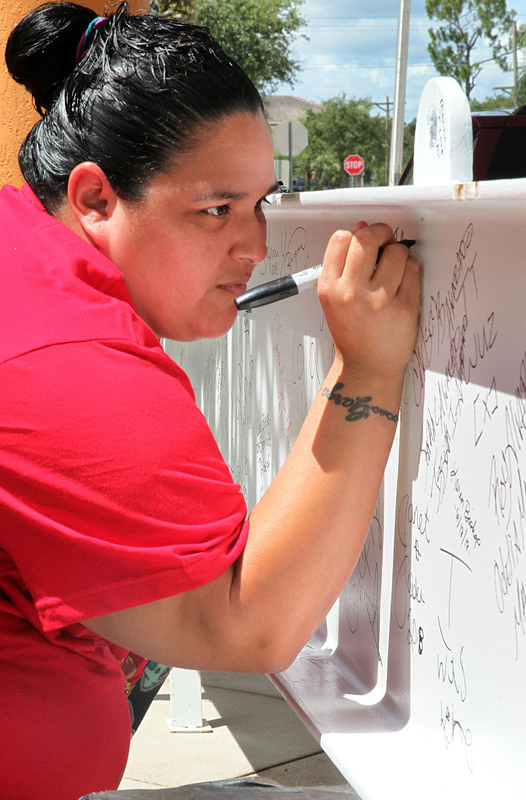 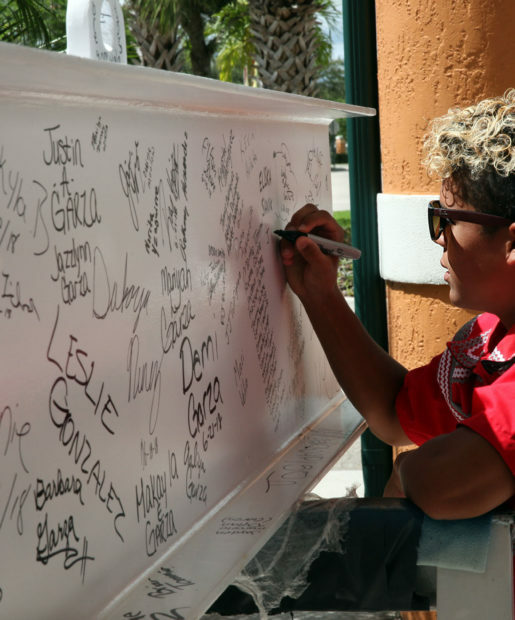 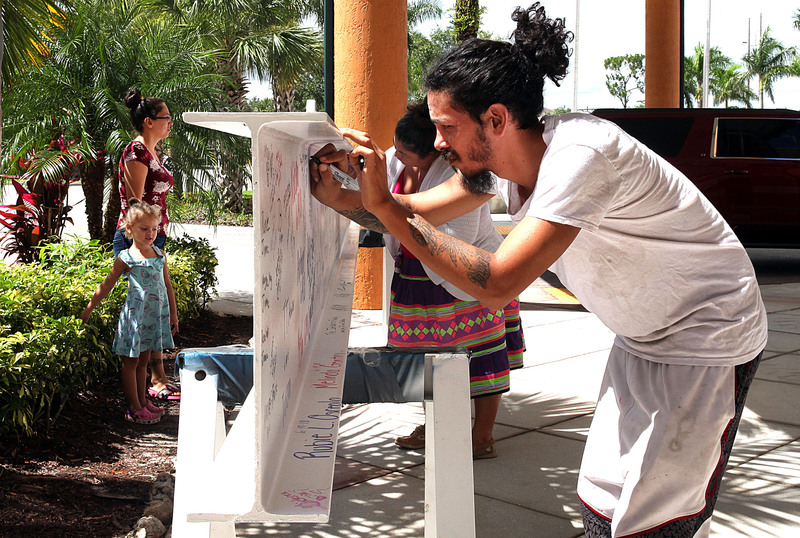 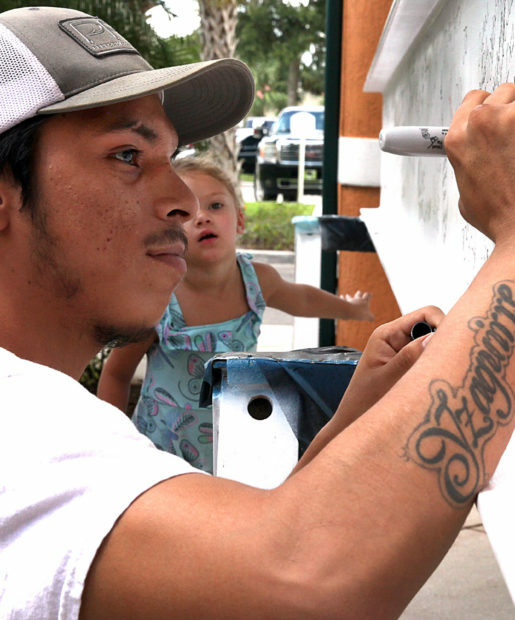 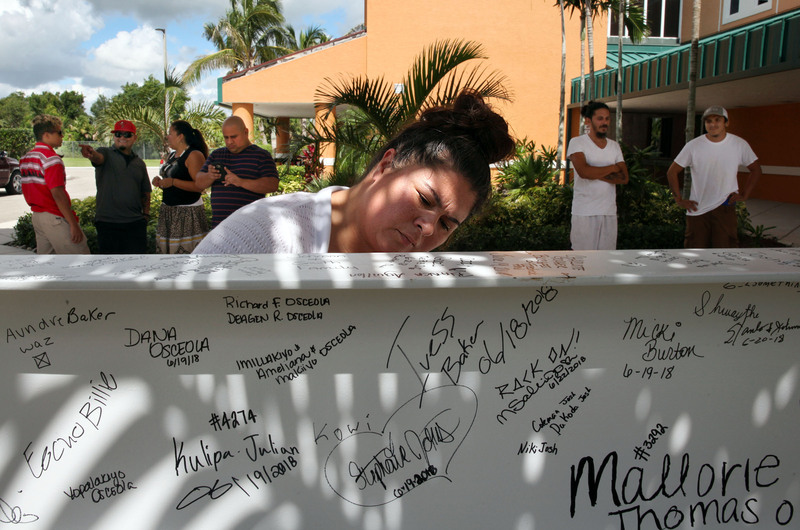 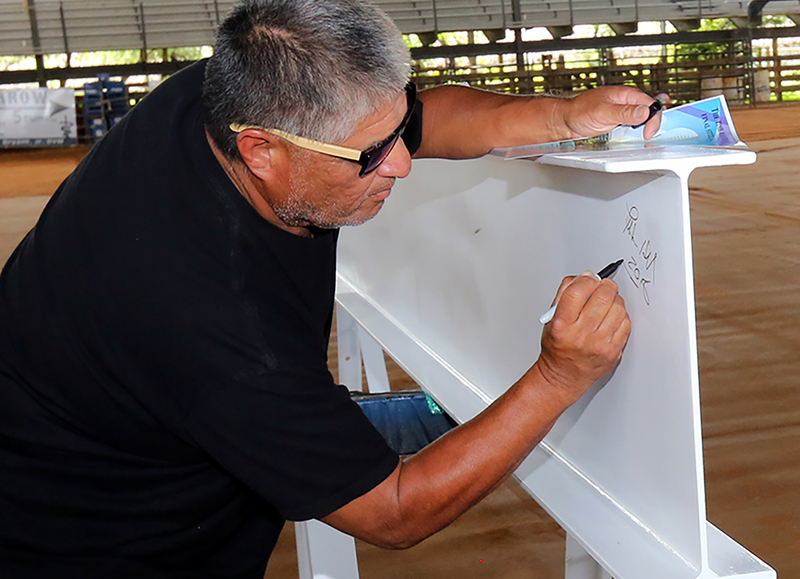 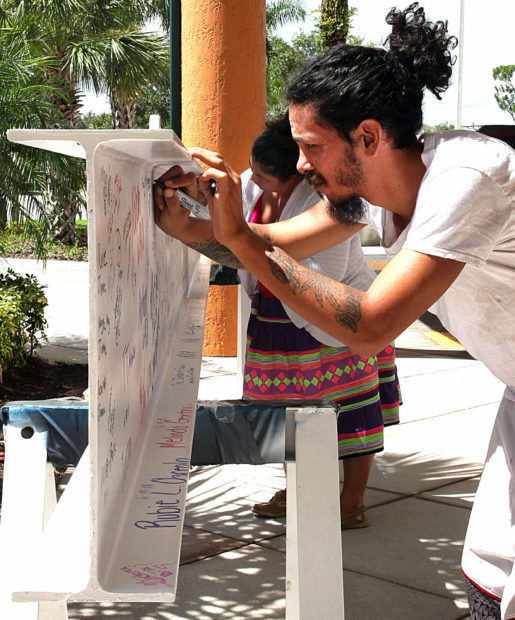 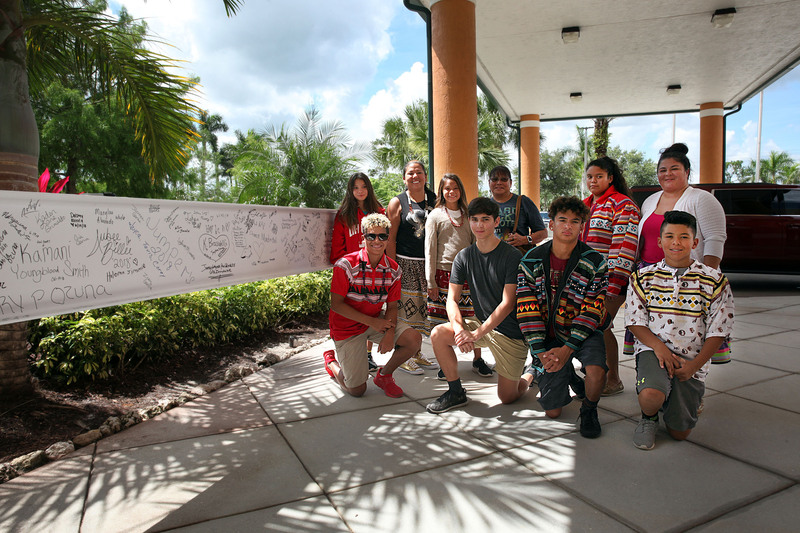 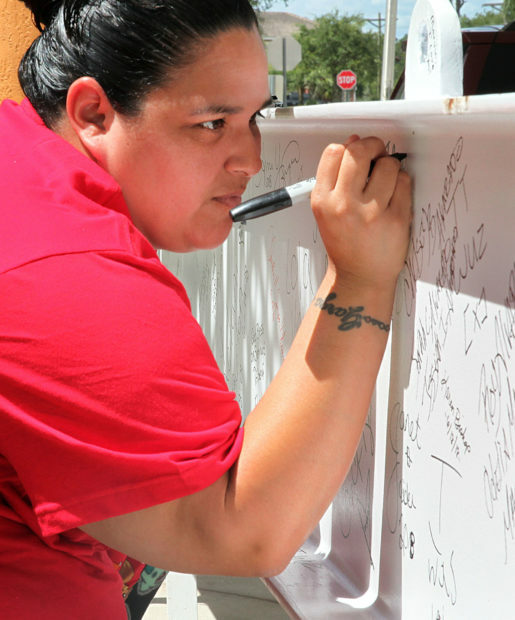 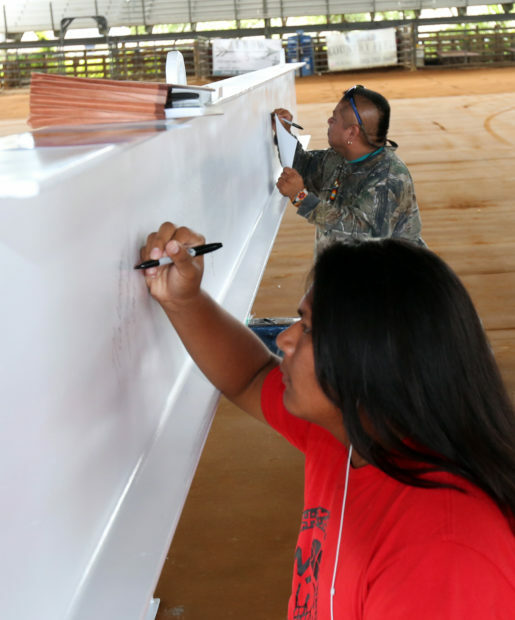 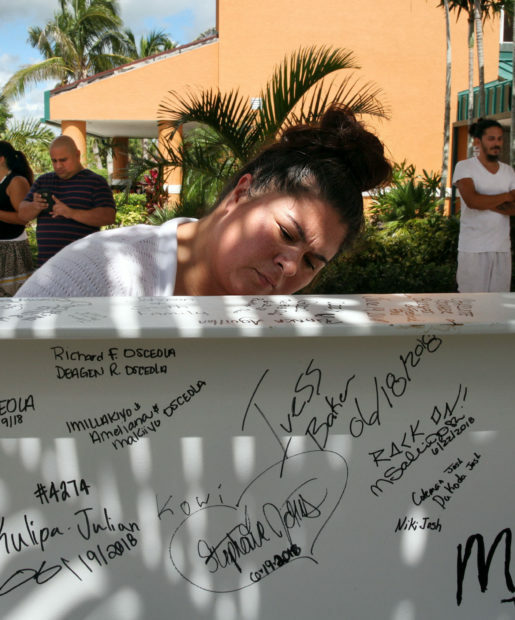 A whitewashed steel beam has been making its way from reservation to reservation from June 18 to July 3 to give all Tribal members the opportunity to sign it. 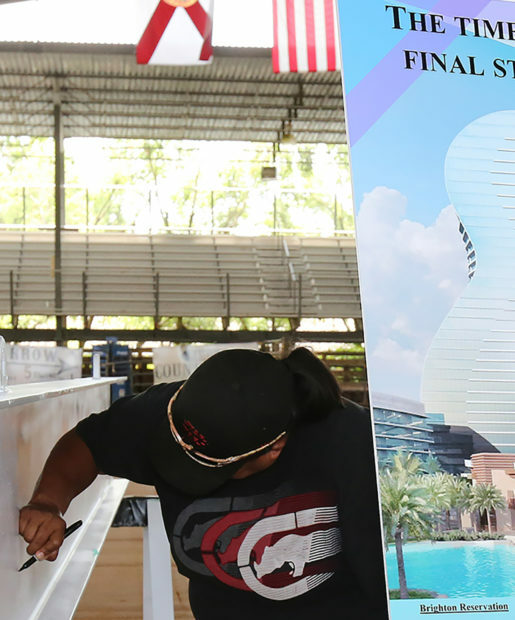 The beam will be the last one erected in the structure of the guitar-shaped Seminole Hard Rock Hotel & Casino Hollywood. 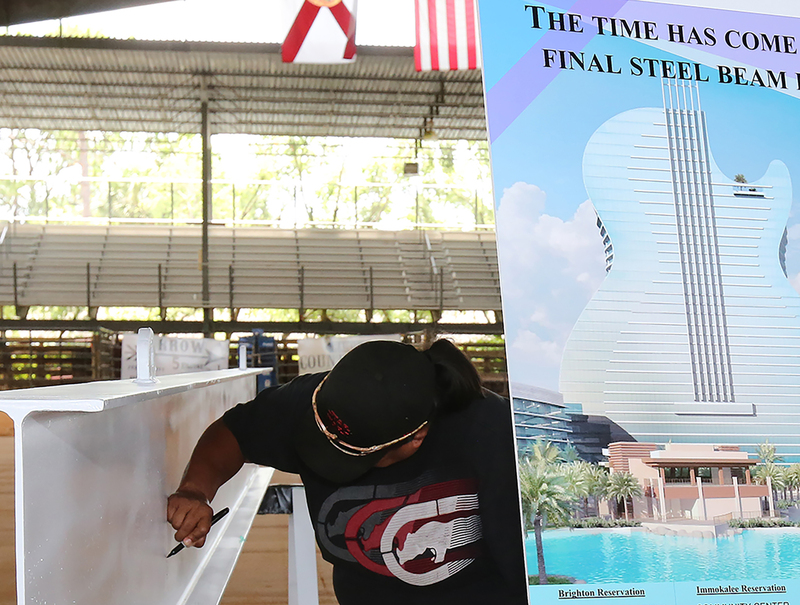 A topping off ceremony will be held July 9 to commemorate the milestone. 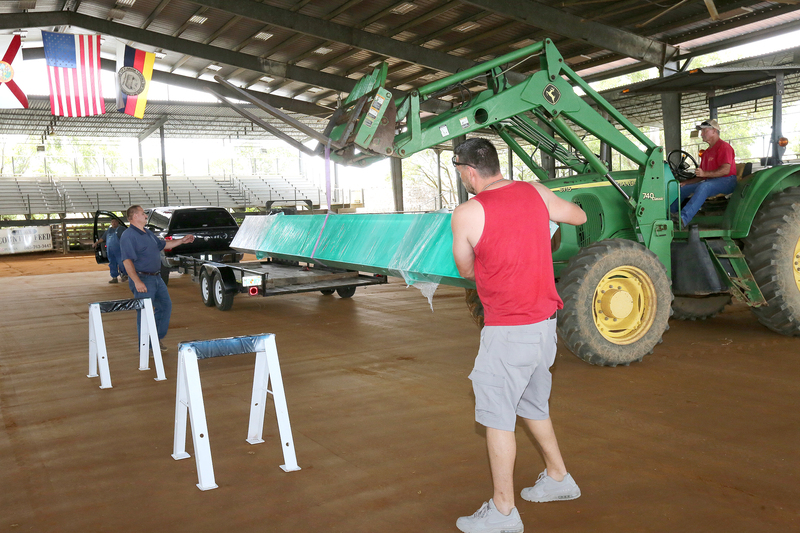 The beam’s first stop was the Brighton Reservation, where it arrived June 18 at the Fred Smith Rodeo Arena. 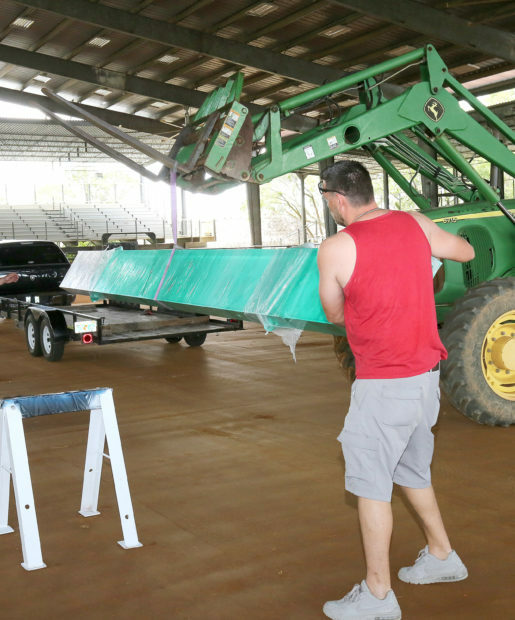 Arena manager Marvin Hines guided assistant manager Chester Surls as he lowered the 20-foot beam from a tractor onto two metal sawhorses. 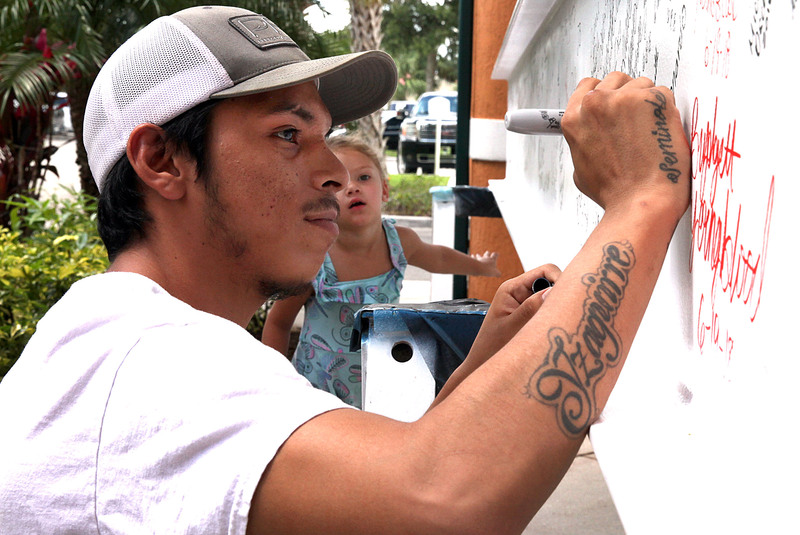 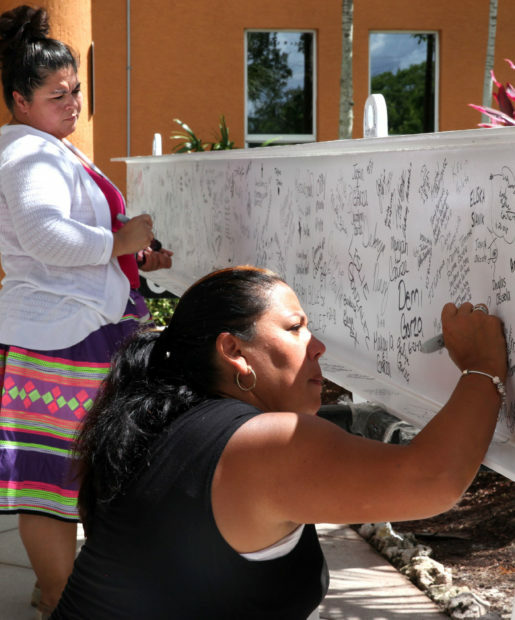 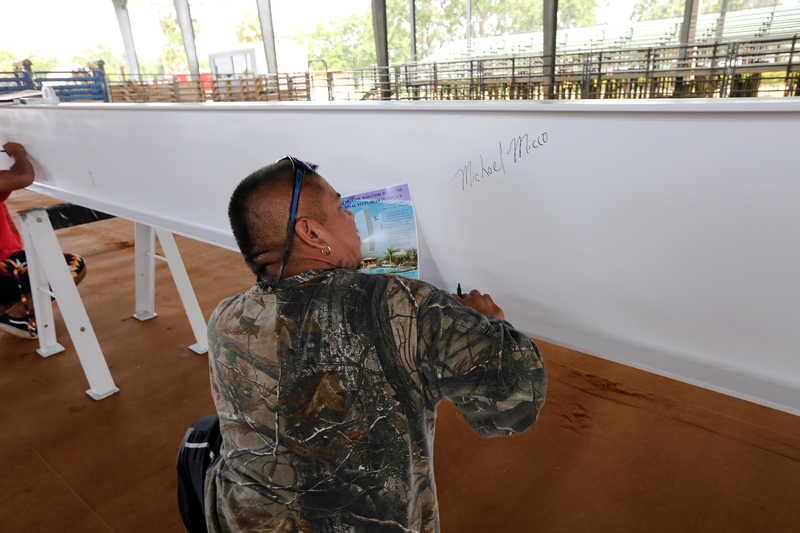 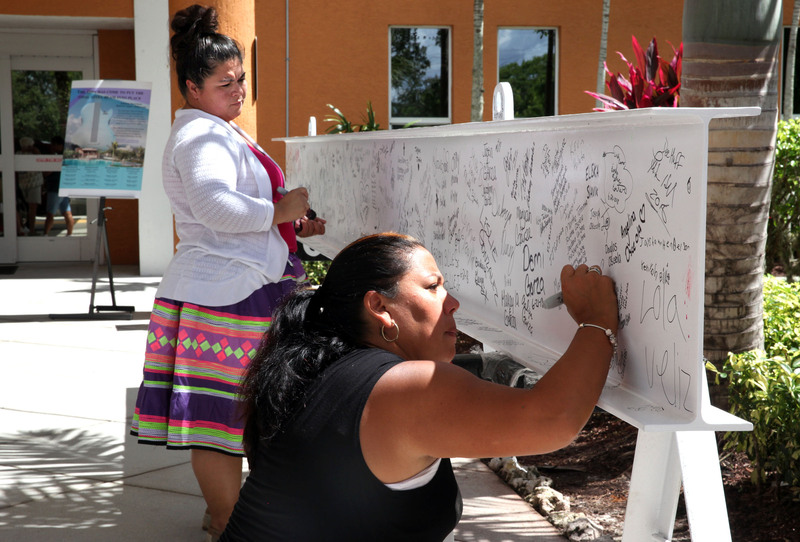 Seminole Tribal Gaming Commission Chairman and Tribal member Allen Huff, of Brighton, was the first person to sign the beam. 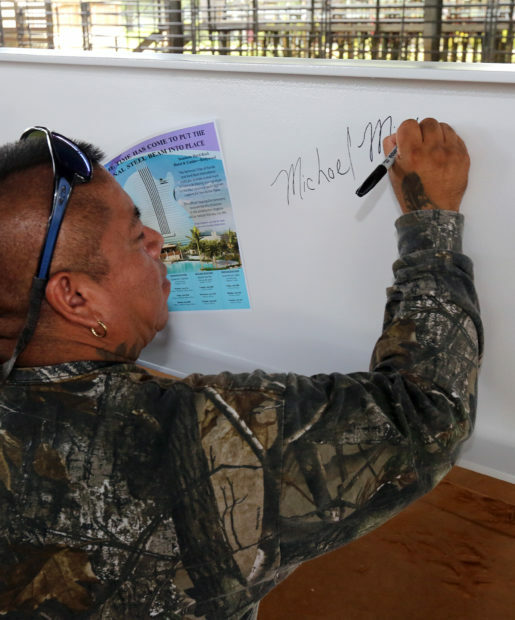 He said it’s a great idea to have Tribal members sign the beam for the Guitar Tower. 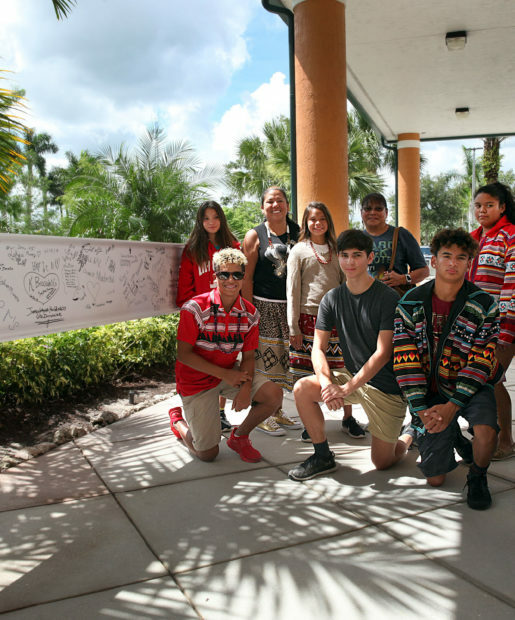 “Having all the Tribal members being a part of it is really neat. 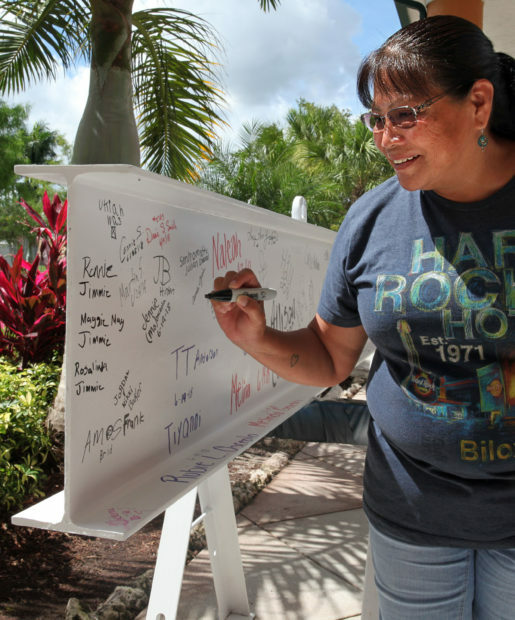 It tells them ‘I’m a part of this,’” Huff said. 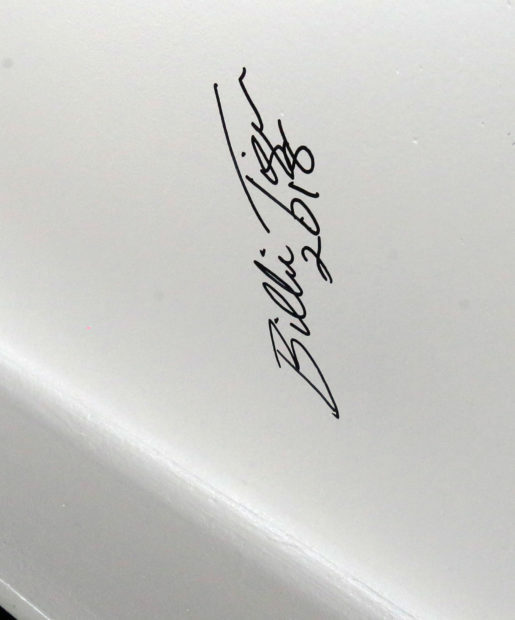 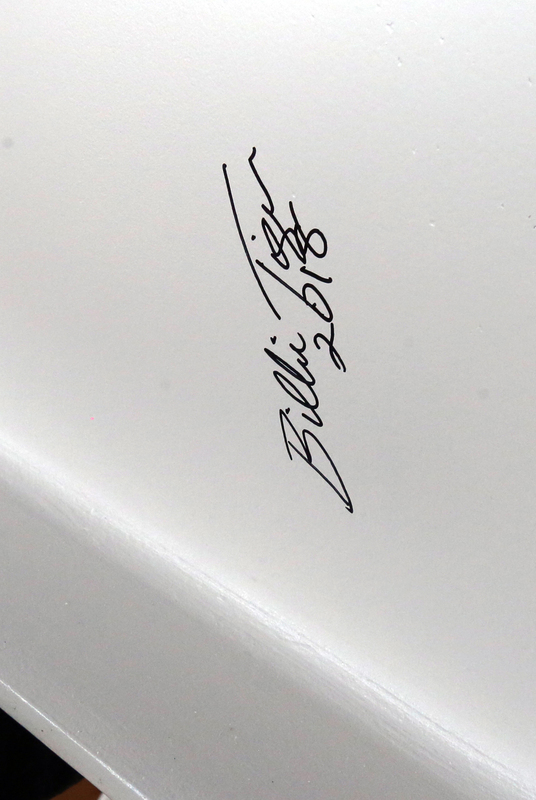 “Pretty awesome” is how Billie Tiger described the Guitar Tower after she signed the beam. 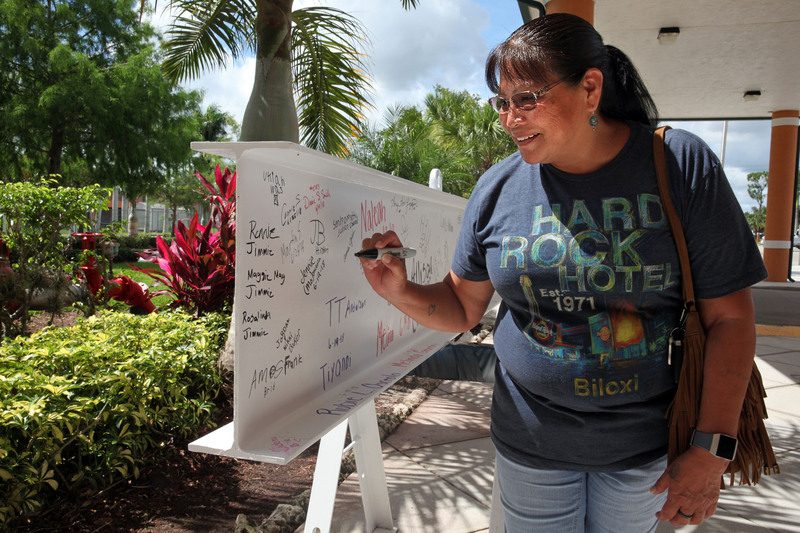 After three days in Brighton, the beam shifted over to Immokalee on June 21, 22 and 25 and then Big Cypress for three days before it was scheduled to return to Hollywood at the end of June for its final stop as part of the $1.5 billion casino, dining, entertainment, hotel and retail expansion. 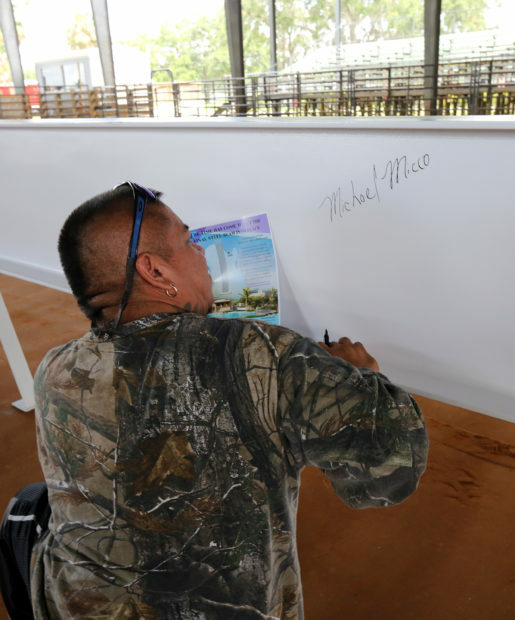 It has long been a tradition when constructing a building to mark the “topping off” of the structure with a ceremony when the last beam is put in place, signifying the building is structurally complete. 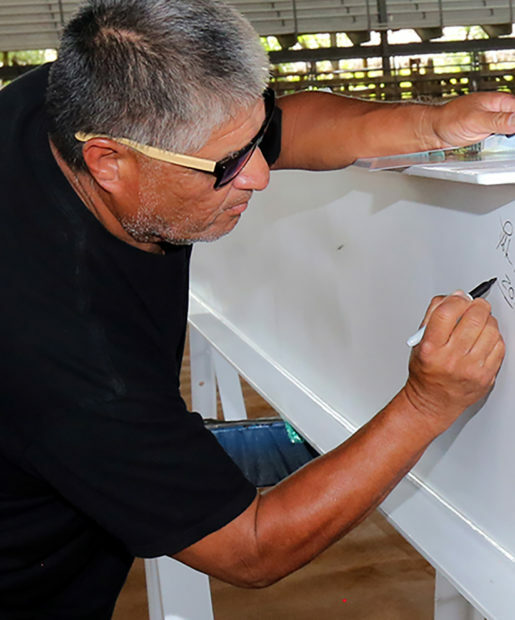 The practice began in ancient Scandinavia when a tree was placed atop a building to appease tree-dwelling spirits who may have been disturbed during construction. 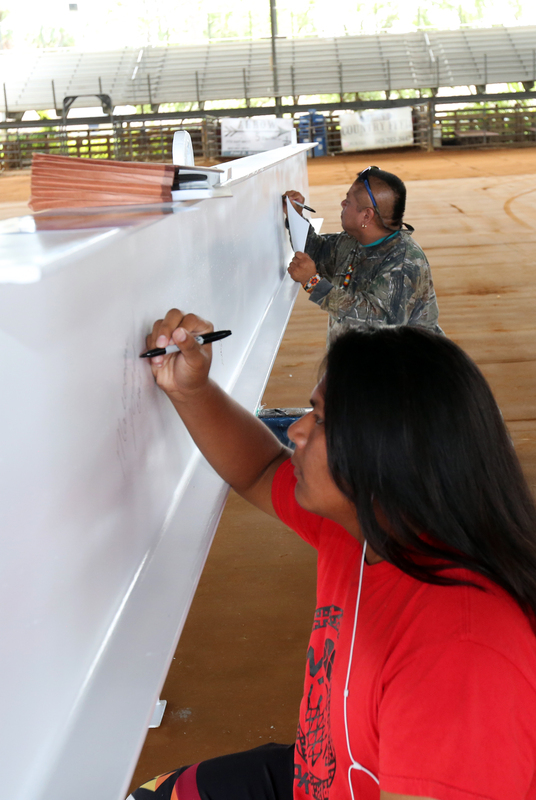 Today the topping out ceremony is common throughout the world with trees, flags or streamers attached to the last beam.